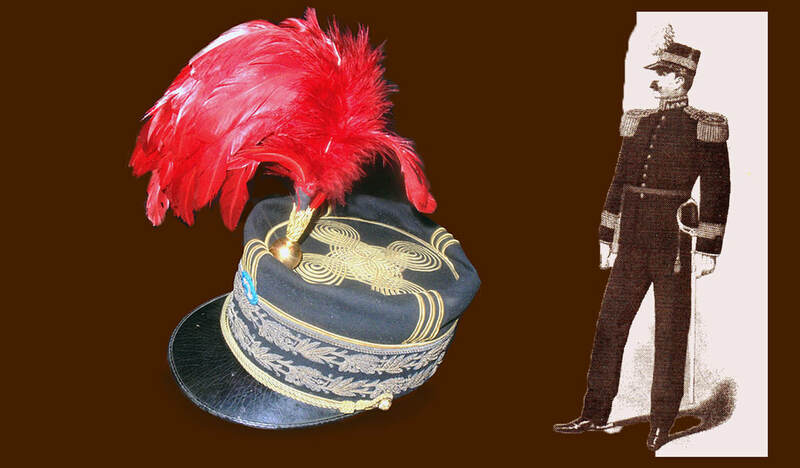 Regimiento 2 de infanteria 1896-1900. Collection FP France. Courtesy of Historian Frédéric Pineau. 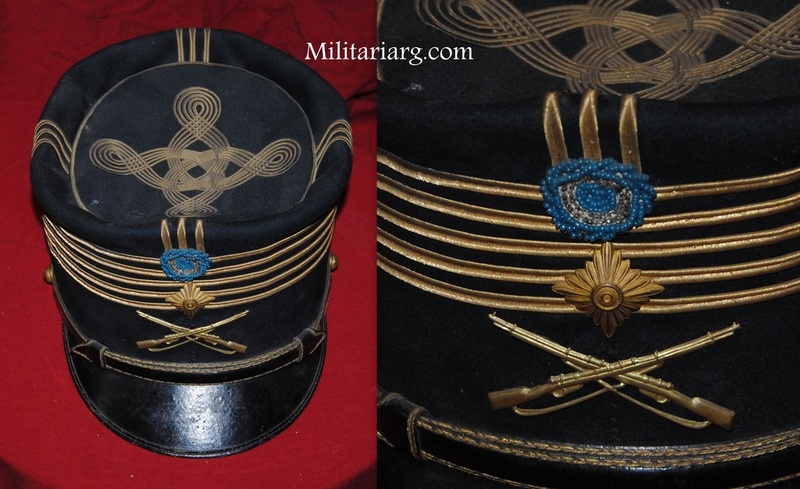 Argentine Army. 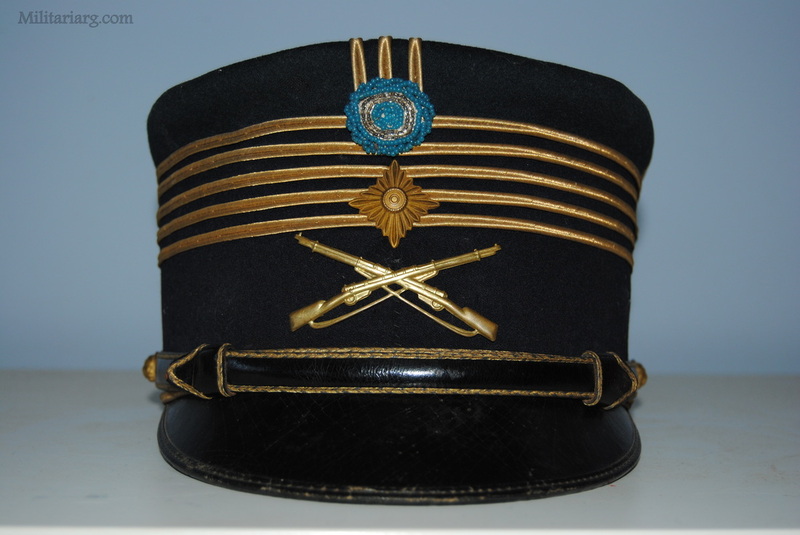 Lieutenant Colonel Kepi, Infantry Branch. 1901. Argentine Cavalry in exercises. 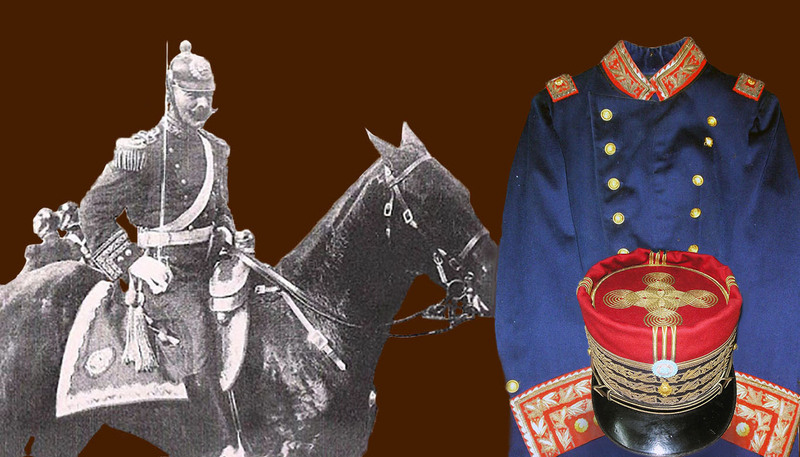 The kepis wear a "Crudo color" or off-white cover, the same kind as those used by the French Foreign Legion. 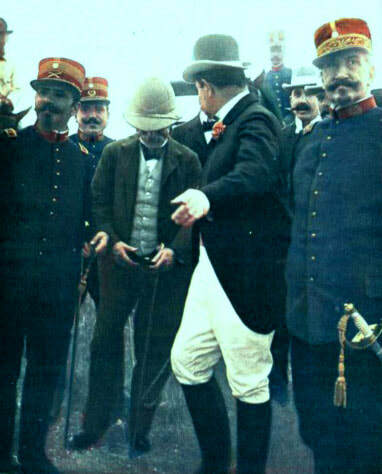 Historical Photo of 1902: Colonel Thomas Hungerford Holdich, member of the British Arbitration Tribunal in the boundary issue between Argentina and Chile. Photo "Caras y Caretas" 1928. 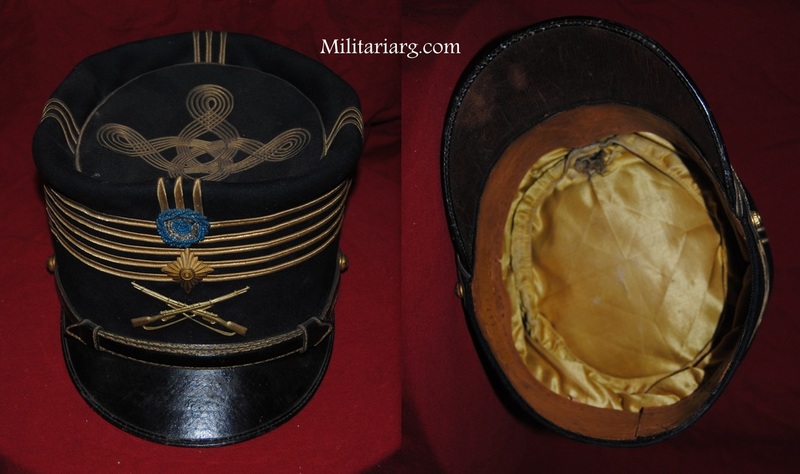 The details of the kepis network and the pith helmet of the British official are interesting.